Now that Thanksgiving is over it is time to start planning your Christmas menu! Well not really, but it doesn’t hurt to save ideas when you see them. I’ve started a board on Pinterest for Christmas with recipes and crafts I like. This is the perfect recipe to pin! Not only is this a visual stunner, it tastes really good too. 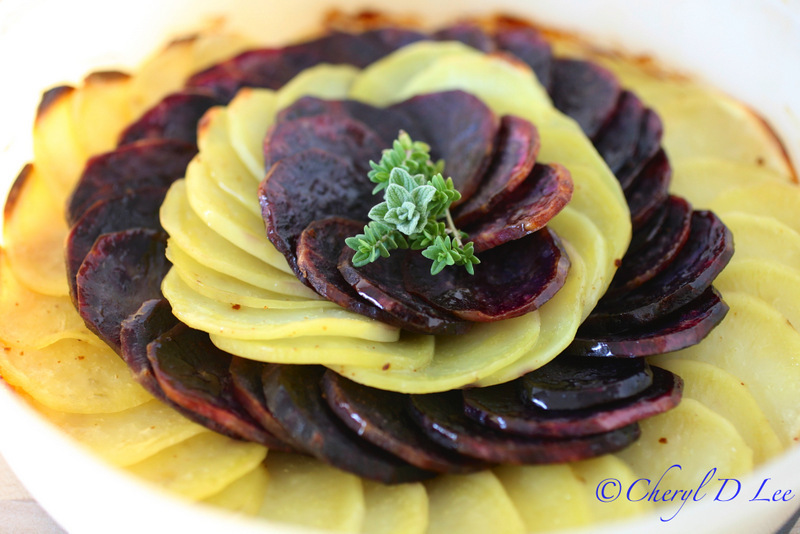 I used Okinawa sweet potatoes, which are a beautiful magenta/purple color. 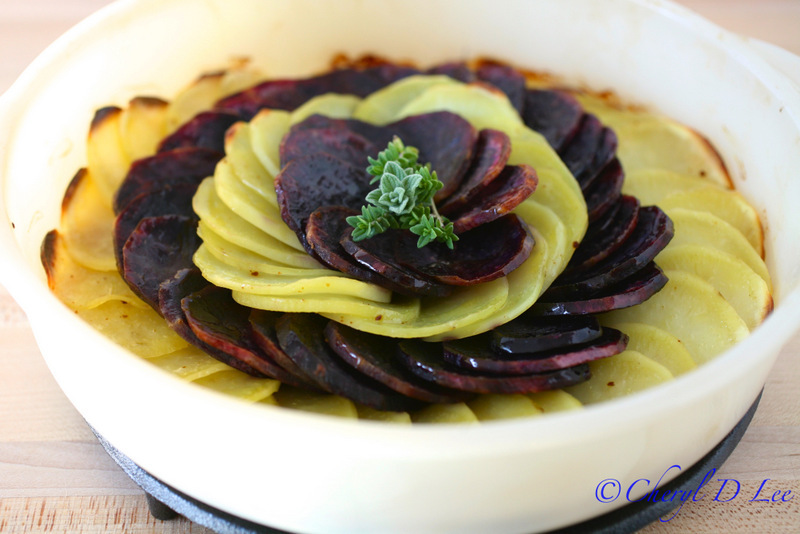 The color is a striking contrast to white sweet potatoes, thought the flavors are similar. 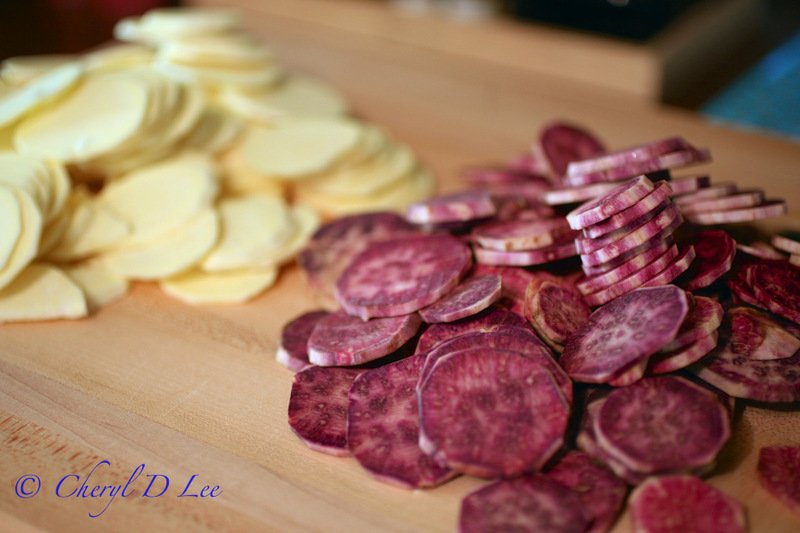 You can find these gorgeous purple potatoes in many grocery and specialty stores. Or, you can order them from Melissa’s Produce. This is absolutely stunning! I have always wanted to try the purple potatoes, but I can never find them. I am going to pin this just in case! Thanks for sharing!